I've been transplanted from city life for a while now, and I've learned many things. One of them is that Little House on the Prairie is dramatized, sensationalized, and romanticized. But never fear. Since I've removed the malodorous monster, disinfected my entire kitchen, and air-freshenered all remaining fumes from the foul beast, Clucky will live to see another day. We haven't ever had a rotten egg in the year and a half we've had chickens. 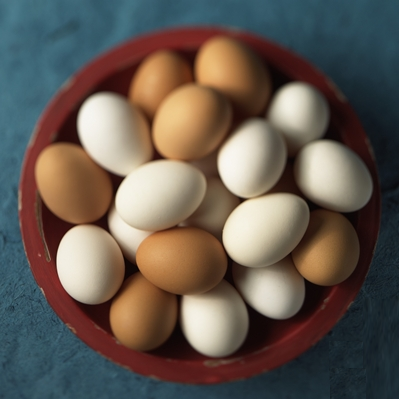 We sell our surplus, so we're pretty diligent about our egg care!